Nitrosigine is a patented form of arginine which is bound to silicate. 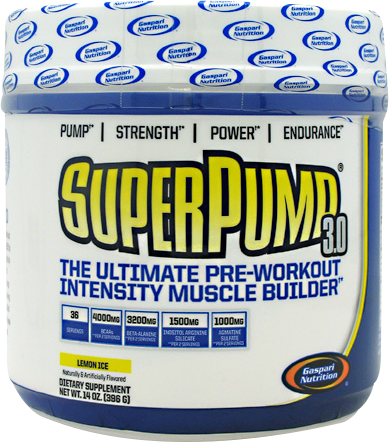 It was developed specifically for the bodybuilding and sports nutrition market, to assist with boosting nitric oxide, pump, and blood flow during training. Where Does Nitrosigine Come From? Nitrosigine is patented and developed exclusively by Nutrition 21, a raw ingredient manufacturer who specialise in dietary supplements. Arginine is required for nitric oxide synthesis. However, arginine in single amino acid form may not be stable enough to exert its benefits in the body. Nitrosigine has been clinically studied in human subjects for its effect on boosting nitric oxide synthesis. Healthy men were given four doses of nitrosigine for two weeks. Their arginine levels increased significantly within 30 minutes, and remained elevated for over 5 hours. At the end of the two week period, the arginine levels of test subjects showed higher baseline levels compared to day 1. A number of test subjects also experienced a resulting increase in nitric oxide levels, especially towards the end of the study (Kalman et al, 2014). For weight training, this means that Nitrosigine may assist in increasing the quality and size of muscle pumps, especially when used for a few weeks. When compared directly to arginine HCL, Nitrosigine appeared to have superior effects in being able to relax arteries (Proctor et al, 2005). This suggests that Nitrosigine may possibly be the form of arginine to look out for, instead of more traditional forms. Human trials reported no adverse reactions from the use of Nitrosigine (Kalman et al, 2014). Nutrition 21 also go on to say that the American FDA have also evaluated Nitrosigine and declared it to be “generally recognised as safe”, and have given approval for use in supplements. An issue with the Kalman study is that the publication is an abstract only. It lacks critical details such as dosing. As such, it is very difficult to estimate an effective dose for practical application. In addition, the rodent studies showing positive results used very high doses (Proctor et al, 2005), which may be impractical for people. As Nitrosigine has been reported to increase arginine levels in the body as quickly as 30 minutes after ingestion, it is recommended that the ingredient be used around 30 minutes to an hour before training. It can also be used daily, even on non-training days to boost baseline arginine levels. Estimating an effective dose is difficult, as mentioned above. However it will most likely be effective in doses on the grams scale as opposed to milligrams. Nitrosigine can be stacked with a number of other nitric oxide boosting ingredients. These include citrulline and agmatine. It can also be used together with a number of other pre workout ingredients including caffeine and beta alanine.